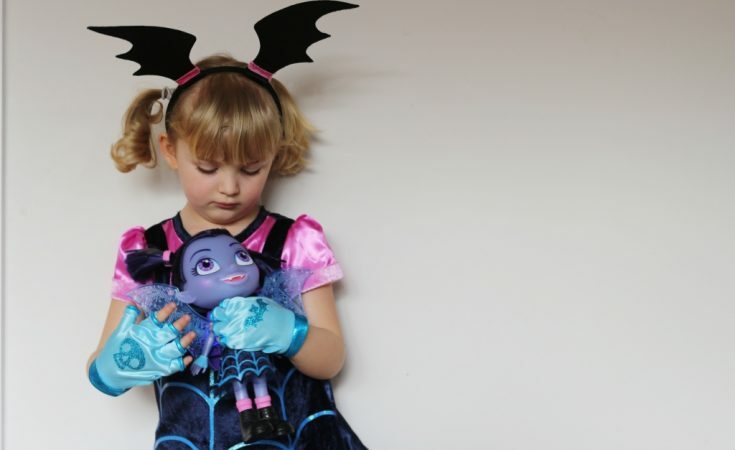 My children have been big fans of Disney Junior’s show Vampirina since they were invited to a preview screening back in January and we already have a whole bunch of great Vampirina Toys which we reviewed here. 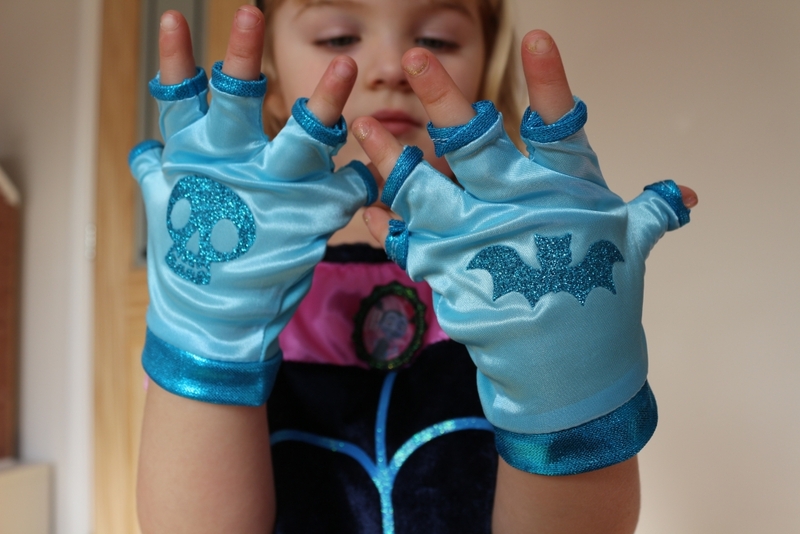 We were lucky to be sent a Vampirina Boo-Tiful dressing up dress with gloves and headband for review. 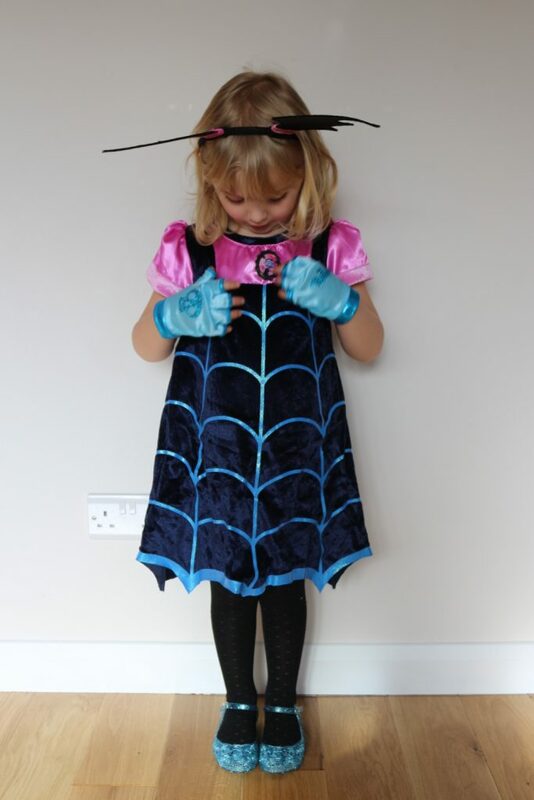 A replica of Vampirina’s dress from the cartoon, your child can dress up just like their favourite character including her black spiderweb dress with sparkly Vampirina badge, blue fingerless gloves and bat-wings headband. 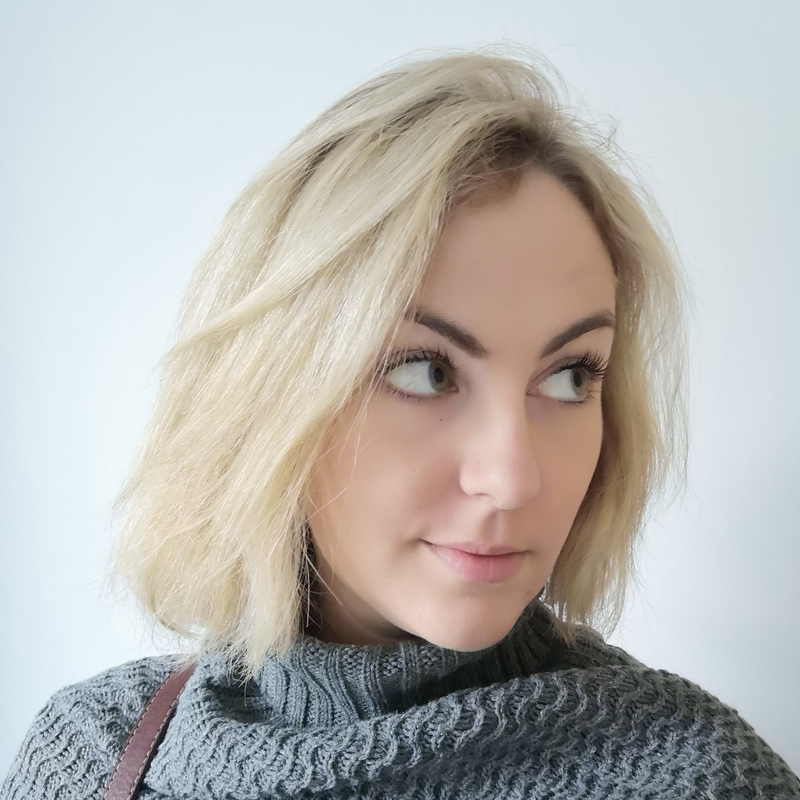 It doesn’t come with wings like previous versions of the dress. 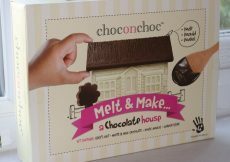 It comes in a sealed box so you can’t really get a feel for what it’s like or how big it comes up, so hopefully this review will be helpful! 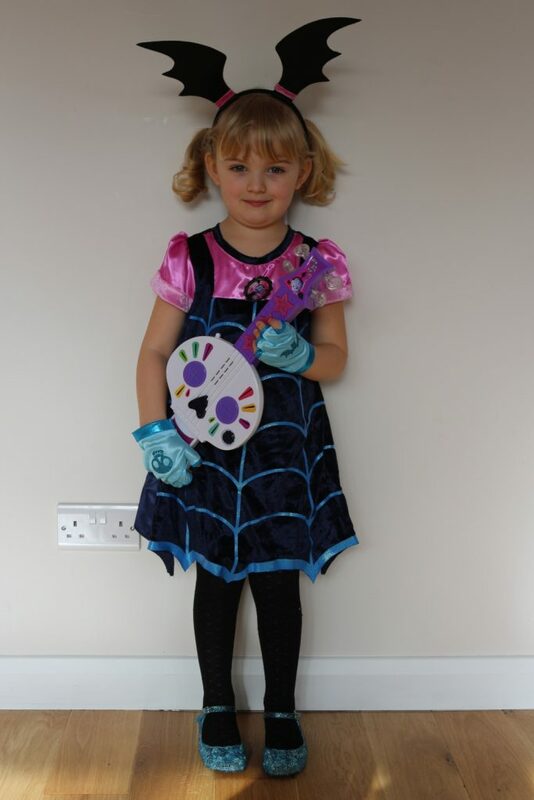 The outfit is is sized age 4-6 and my four year old, who absolutely loves dressing up (and probably spends more time in dressing up clothes than her normal clothes) was more than happy to try it on! 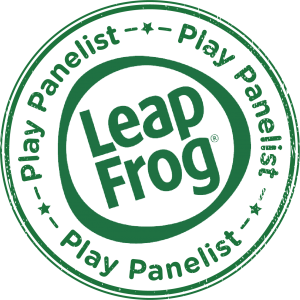 It was a really good size; she’s big for her age so this would definitely be fine for most children of 4-6. Size wise, it measures about 53 cm/21 inches from the top of the shoulder to the bottom of the hem so goes past her knees, leaving her room to grow. 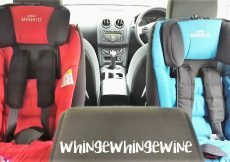 It is done up with velcro at the back so she can get it on and off without help. 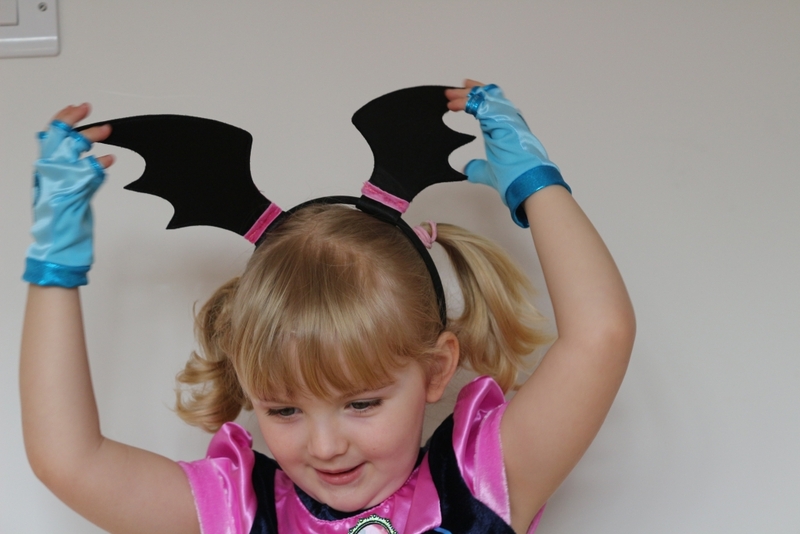 She particularly liked the gloves and the batty headband which she wore all day, although the gloves probably wouldn’t go on hands any chubbier than hers! It is the perfect outfit to wear when playing the Spookylele! Her Vampirina Boo-Tiful Dress outfit will hopefully last her a long time if the stitching holds together. This is our usual problem with dressing up clothes because she wears them so much, if she doesn’t bust out of them as she grows then they just disintegrate or the velcro falls off! I wish you could get really well-made dressing outfits, but I fear they would be a lot more expensive! 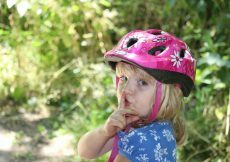 As a side note, it can’t be put through the washing machine and needs to be hand-washed only which is a shame as she’s already sneezed down it. The Boo-Tiful dress is made from 100% polyester. 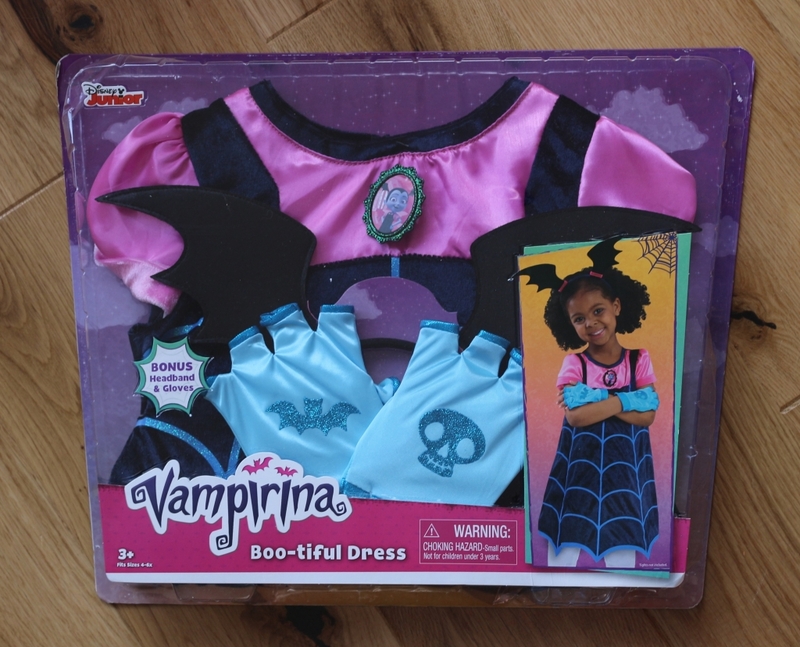 You can purchase the Vampirina Boo-Tiful dress, which has an RRP of £25, from Amazon here. Click here to see more Vampirina Toys! 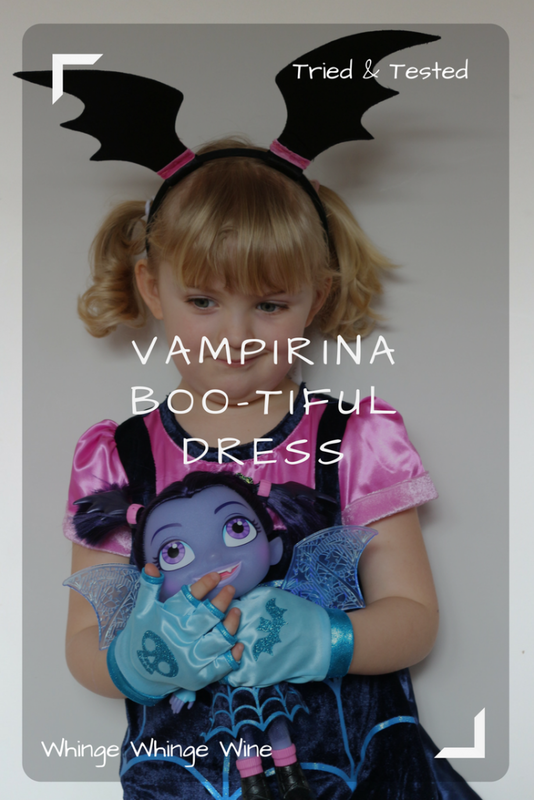 We received this Vampirina Boo-Tiful dress for the purposes of this post but words and photos are mine.